When we first meet the hero Siegfried, we encounter a man-child-demigod trying to learn about his own past and identity from someone who can tell him very little about either. What the unscrupulous Mime does know, he buttresses with untruths in a petulant, fitful manner, claiming to be both Siegfried's father and mother, so as to use him for his own sinister purposes to acquire the Ring. 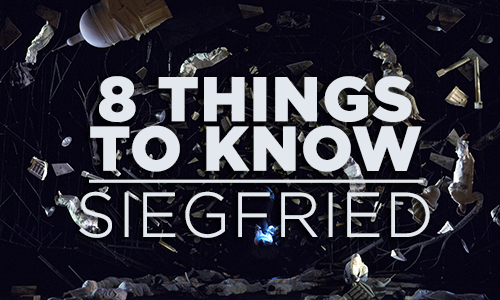 We may not realize it right away, but our first encounter with Siegfried is with someone whose very human qualities we know all too well, recognizable from earlier stages in our own lives—naïveté, innocence, manipulability—in short, someone with an underdeveloped identity. 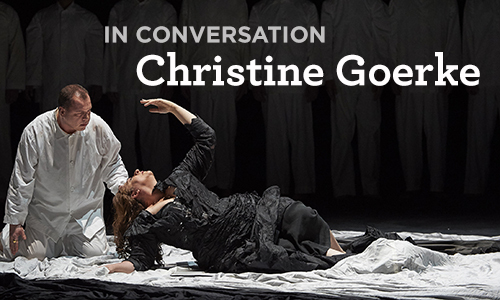 On Wednesday, February 3, our Opera Insights series featured Christine Goerke, the opera world’s most sought-after Brünnhilde (currently starring in our production of Siegfried), in an intimate evening of conversation about her life and career. The host was recently retired Toronto Star theatre critic, Richard Ouzounian. Listen to their immensely entertaining and candidly revealing conversation here! One of the most ambitious works of art ever created, Wagner’s Ring is a monumental cycle comprising four interconnected operas. 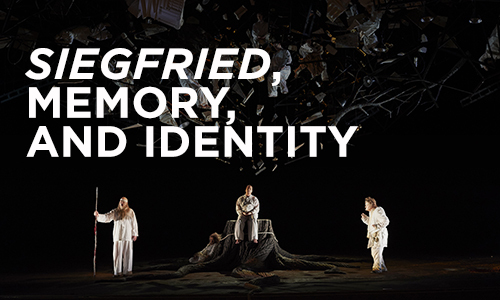 Siegfried is the third instalment of the saga, in which the title character undertakes a psychological journey towards self-understanding, attempting to piece together the story of his origins and grasp his place in the world. In the process, he forges the broken magical sword called Nothung, slays the dragon Fafner, and braves a ring of fire to reawaken Brünnhilde with a kiss, pushing the allegorical story of the Ring toward its inexorable conclusion in Götterdämmerung.